You will have read in the last blog here, that my surgery date was scheduled to take place on Saturday 5th January 2019. If you have not seen the last piece, it is worth clicking on the link to get the background on my history and why I had to travel to London. The surgeon was very accommodating when scheduling the operation and was really amenable to timing as I wanted it to fit in with my work schedule as a priority. I was also very conscious of the looming Brexit and knowing the uncertainty associated with that, I knew that I wanted my surgery booked well in advance of March 29th. Every operation is different and each patient’s requirements will be different post op, but he did advise that I would need to stay in London for a minimum of 7 nights after the surgery date. The reason for this time, is to account for any potential post operative complications that might arise. 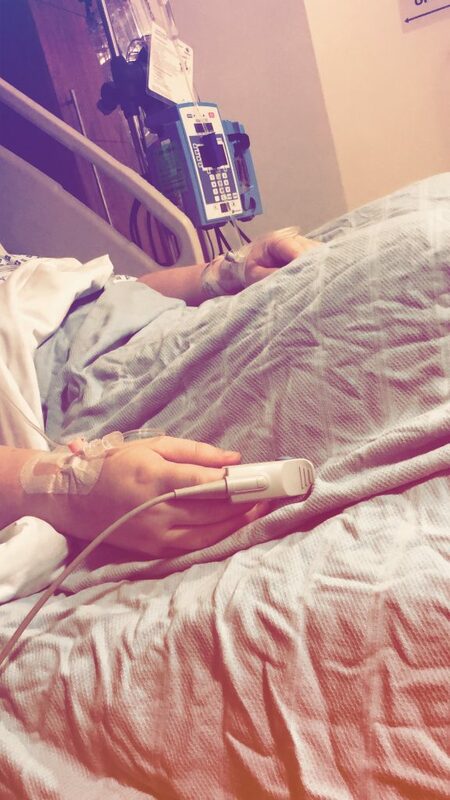 The main complication that he associated with my operation was a bowel leak as my bowel was being operated on as endometriosis was growing inside and outside the bowel, and there are higher risks of very serious complications in the days after surgery. I was really lucky to have such great support when travelling to London. My Mum and my amazing friend Sabrina both travelled with me. We flew out on Friday 4th January as I had a pre-operative meeting in the Princess Grace Hospital. I still remember the fear that I was masking on the flight. It’s crazy the thoughts that you have in your mind when facing major surgery, which you know are totally and utterly irrational. 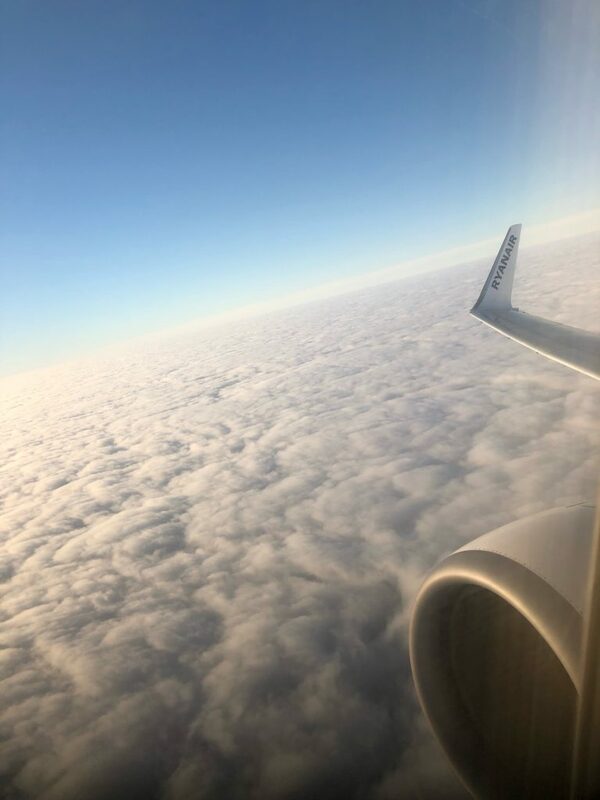 As the aircraft taxied out at Cork Airport and as the wheels lifted off the ground, I was looking back at Cork Airport praying to God that I’d be coming back alive. I knew that I was facing into an operation that carried so many risks but I also knew that the team that would be looking after me were the best possible team. The pre-operative meeting was held at the hospital by a nurse called Azita. She advised that she has been a previous theatre nurse for Peter Barton Smith so had been looking after plenty of patients who had operations similar to mine. The operation that I was scheduled for was a 3-part operation that had an estimated time frame of 6 hours. I was having robot assisted excision of severe deep infiltrating endometriosis and ureterolysis and excision of recto-vaginal nodule by shaving. Next, I was having robotic assisted laparoscopic myomectomy. And finally hysteroscopic resection of 10 fibroids. In simpler terms, he was excising Grade 4 endometriosis in multiple areas, he was excising the endometriosis from the bowel and then removing 10 fibroids – the fibroids were large in size, were grossly distorting the uterus and causing severe bleeding during a period. The meeting itself, had the usual pre-op medical – height & weight to prep for the anaesthetist, blood pressure & ECG to ensure that I had a healthy heart rate and then blood samples to check for infection. They also took extra blood that day – and took further blood first thing on Saturday so that they could cross-check bloods to find the optimum blood for a blood transfusion. The removal of so many fibroids is a complex procedure and carries very high risks of large blood loss so they also ensure they are pre-prepped in theatre with blood ready. After Azita had completed the medical part of the appointment, she then spent an hour explaining in detail what would happen in the hospital and what to expect pre-theatre, during theatre and post operative. She then asked me my concerns and my worries. 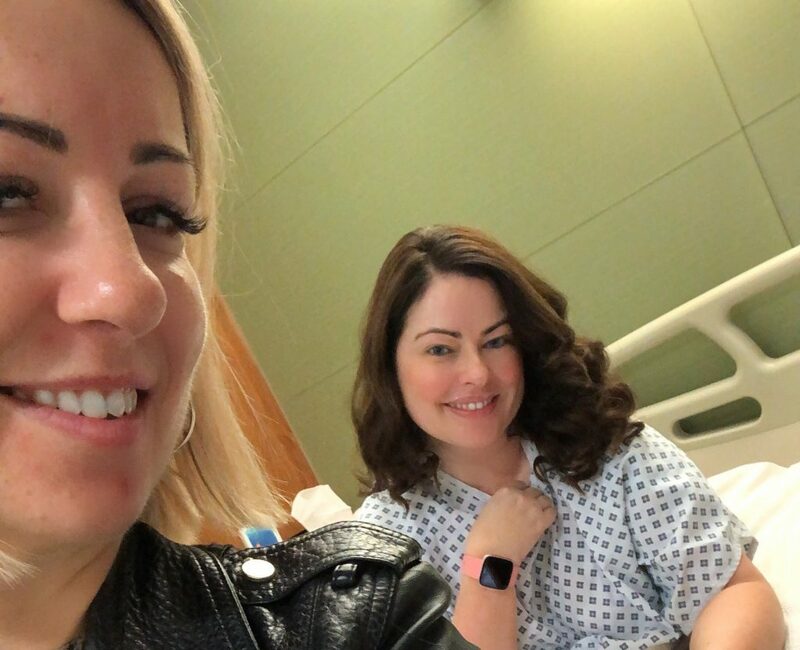 I told her that my main concern was not waking up – or waking up with a stoma – which was a risk – or waking up with a hysterectomy. She spoke through each concern and said that there were only 2 doctors in the world capable of performing the surgery required at optimum level with the highest level of expertise and she said Peter was one and the other was in New York. She really took time to ensure that I was calm leaving the office. She said that at the hospital, they like to take a holistic approach before surgery to ensure that each patient is fully aware of what to expect. Little things like telling me to expect pain when I would wake up in the recovery room. She said that she is amazed at how many people don’t tell a patient that and when they wake, they panic and think that something has gone wrong. Really, they believe that information is power and empowering their patient’s is key. After leaving my appointment, a wave of calm washed over me. I knew that I would be safe. I knew that I would have a very heavy operation but I knew I was in great hands. That night, I went for dinner with Sabrina and Phil. We went to a beautiful Italian in Marylebone and enjoyed some pasta & prosecco (only a little for me). At 7am the following morning, I arrived at the Princess Grace Hospital. The check in process was very efficient and I was brought to me bedroom on the 3rd floor. From there, time went really fast. The nursing team took blood samples, put the cannula in my hand and got me ready for theatre. At 8am, my surgeon, Peter Barton Smith arrived in the room to have a chat about the operation. As my surgery was a long operation, I was the only patient that was being operated on that day. He ensured that I knew that my operation carried large risks but equally assured me that he would look after me. I then signed my consent and he said he’d see me on the other side. After Peter left, my anaesthetist arrived to introduce himself. He again was incredibly kind and really calmed any concerns I had. He said that he had 3 jobs as an anaesthetist – 1) put me into an induced coma, 2) administer pain relief, 3) wake me up. He did say that the medical team had a meeting earlier that morning and that it was agreed that as the operation was quite long and also a difficult operation that he would give a full general anaesthetic but also a spinal tap as an add on as he was concerned about pain management. He did say to expect pain when I would be woken up in the recovery room but to be honest about the level of pain so that he could manage it as best as possible. After the surgeon and anaesthetist left the room, a nurse then walked me to theatre. I was so sad leaving my mum & Sabrina and I was so scared. I was incredibly lucky and I will never forget the support but it is a very lonely walk and journey facing into major surgery. I wasn’t just afraid for myself but I was really scared for my family if something did go wrong. Having Sabrina with my Mum provided so much comfort to me. Sabrina was there as not just company for my Mum but she was a rock of emotional support too. Sometimes, it can be easier being the patient. I wouldn’t remember that day but I knew that every passing minute would be of concern to them. I am so thankful and will be eternally thankful for them both being there. I will never forget how much it meant to me. When I got to theatre, I met with the anaesthetist in a little room just off the main theatre. In fact there were 2 of them there – one to administer the spinal tap and the other to give medication through the cannula. They were so kind, I felt nothing and was out like a light. Later that afternoon, I woke up in recovery and I was in severe pain. The team were there and said that they were going to put me on a Fentanyl pump. Fentanyl is 8 times stronger than morphine and there is a pump that I was to press when pain relief was needed – or every 4 minutes. I was groggy and felt dehydrated but I was alive. They also said that the operation was a success. I did have a lot of bleeding but none of that mattered – I was alive and I was ok.
After a few hours, I was brought back to my bedroom and transferred into my bed. I had a catheter as the surgeon did not want me out of the bed. I had a blood drain in my abdomen. I had a cannula in my left hand for Fentanyl and a second cannula had been put in, in theatre for fluids. I was bed bound but, physically, there was no way anyway that I would have been able to get up. I was so happy to see my Mum and Sabrina. And equally, I could see the relief in their eyes. That evening went by in a blur but I was in awful pain and the nausea was nothing short of horrendous. Even though I was shattered tired, there was no way that sleep would be possible as I was so unwell. My blood pressure was very low and the nurses had to check and chart it every 20 minutes. I also had large massage pumps on my legs to help prevent blood clots – they also give injections for this into the stomach – and give medication to take for 2 weeks after the operation as blood clots can be an issue for major abdominal/pelvic surgery. The surgeon rang the bedroom phone that night to check in on me – and would continue to do so whilst in the hospital. He’d visit during the day and call on the phone in the evening. I can honestly say, the care was superb. Not just from the Consultant but also the nurses. The nursing ratio is 3 patient’s to every nurse. The following morning, Peter Barton Smith arrived early and brought his laptop to show me a USB of the operation. He obviously didn’t go through all the footage but explained in parts – and also talked through difficulties during the operation. He basically said that it was a “mess” when he went in and was worse than anticipated. There were organs that had fused together due to adhesions from previous surgeries and some of the fibroids were quite complex to deal with. My bowel had fused to my bladder and needed to be separated and one of my ovaries had fused to the pelvic wall. He said that you could see how someone would be suffering in daily excruciating pain from what was going on inside. After speaking with him, I knew I had made the right decision. Words cannot convey how fortunate I felt that I had him as my surgeon. The likelihood of a hysterectomy if I had gone to another surgeon who did not have his level of skill was really high. But here I was, with a fresh start. He said that it would take 6 months before I would feel well due to the nature of the operation – but then I would be really well. He gave me the USB to take away. It’s not really a ‘Netflix & Chill’ show but what it does show is accountability. Nothing is hidden. Later on that afternoon, I had a few bad turns. The pain became unbearable, my abdomen was swelling and I was vomiting as the pain was so bad. My blood pressure dropped and I felt seriously unwell. I felt so unwell that I was terrified to be honest. I was scared that if I really told them how bad the pain was, that I was at risk of returning to theatre. They had said that after surgery like this, there are red flags and that if not dealt with, sepsis can be a real issue. The nursing team called to doctor who gave injections for nausea and pain and I settled for a while. Much later that evening, the same thing happened again – but this time it was worse. At this stage, my Mum and Sabrina were in the room and I remember looking at Sabrina and my Mum and seeing fear in their eyes. Sabrina subsequently told me that she had never seen someone change into such a strange grey colouring so quickly. That evening Sabrina cancelled her flight home the following day and my Mum asked the nurse to put a second bed into my bedroom so that she could stay. Actually, that is another wonderful facility in that hospital. They have the facility to put a second bed into each bedroom so that patient’s can have a family member stay with them. Many of the patient’s in the Princess Grace are International patients and so they see the need to allow people to stay as they are away from home. The next few days went by in a blur. I was in desperate pain and had constant nausea. I had 5 wounds in my abdomen, 1 of which was an open wound that needed to be dressed a few times a day. But I honestly had no concept of time and no concept of day. Anyone who knows me will know that my phone is never out of my hand but I had all notifications switched off and I was too sick to text, let alone talk. In fact, to be totally honest, I kept all notifications off during recovery when I came home – and some are still off. I learned the value of health but also the value of silence during this experience. After 4 days, I was discharged from hospital. My stay was longer than anticipated however, after a quick call to Laya by the hospital team, this was quickly approved – and it was something that I did not need to be worrying about. Whilst I was in hospital during the first few days, I had my Mum & Sabrina booked into a hotel that was literally 2 doors from the hospital. That meant so much to have them close – but it also meant so much to them as they didn’t need to worry about tubes and taxis. The area of London is Marylebone and the choice of restaurants for them was superb. The hotel was the Nottingham Place Hotel. It is basic but spotless – and was the perfect location. We could not have found closer. After I was discharged, I had an AirBnB booked. Sabrina and my Mum had moved in there the day before so they had the luggage moved and basic shopping completed. The surgeon recommended AirBnb instead of a hotel as he said that the confines of a hotel room would not be suitable. I didn’t want to have to dress each morning and head to reception as the bedroom was being serviced and then trek back up to the same box sized room for the rest of the day and night. There are some factors to take into account when booking. I needed to ensure that there were no stairs as he said that I would not manage any stairs in the week after the operation. I also ensured that I had WiFi – simple I know but you’d be amazed at the amount of places without this. I wanted a washing machine and dryer – just to launder pyjamas and other bits. I also wanted to make sure that the beds were comfortable – and found out this was reading reviews of properties. I booked a 2-bedroomed apartment overlooking Hyde Park. It was really spacious and just perfect for what I needed. I only went out once whilst there for a really short walk. Physically I was not able but mentally was not aware as I was so sick. When I was ready to fly home, I booked wheelchair assistance as was advised by the surgeon. I thought that I would be ok but I was so grateful that I had listened to him as I physically was not able to manage. The flight home was emotional. I had survived. I was going home to my family, my friends, and my own bed. The weeks immediately that followed passed in a haze. I thought the days would drag but they literally flew by and I had very little concept of time. I had to be meticulous about my schedule as taking the prescribed pain relief at the appointed times was so important. If I was late in taking a dose, the pain would get to an unbearable level and then take time to regulate again. I was so sick that I could not concentrate to even so much as read a paragraph or watch a TV show. I had an image of being sick – watching Netflix and relaxing – I could not have been further away from reality. I am beyond lucky to have such an amazingly supportive family and group of friends. I was very much incapacitated during recovery but the support was nothing short of incredible. I will be forever grateful. I am now 5 weeks post op, and recovery is going well. I am still in pain – which is to be expected. The most difficult part of recovery at this time is the tiredness. I am used to being a busy bee so I do find it difficult to accept that I get really tired after a few hours. I have moments of feeling great followed by evenings spent in awful pain. Even though, this has been the most difficult operation of my life, I am so positive. I have been given such an opportunity. I have a future that will be pain free for many years. For now, I have a long road ahead of recovery and I am learning to be patient…. something I am not good at but will learn to listen to my body and accept that some days will be better than others on this recovery path.